We are called WALL90 a website that highlights abstract modern art for interior design, offices and for people who buy investment art. Abstract paintings leave your audience wanting more, and while they are intrigued by every stroke one can only wonder the depth and simplicity of each original piece. 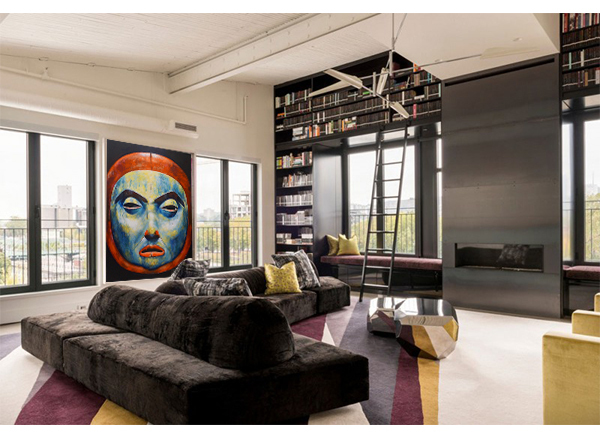 Abstract art comes in many forms which complement a room. Our original paintings fill empty walls with colour, expression, texture and incredible endless interpretations that your guests will love! It commands attention in any setting and we have various styles to fit in the modern decors of both home living and offices. The idea of what defines ‘art’ is something many have debated over the years and will continue to do so. But one thing we can all recognize is when a modern space is showcasing a canvas painting it captives us. The uniqueness of each piece which can never be reproduced fills our life with colour, joy and emotion. Original paintings dazzle and instantly can transform the ambiance of a room to a whole new level. 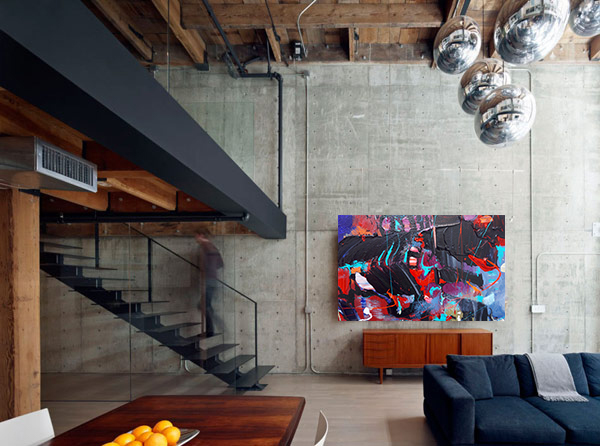 Here at WALL90 we like to think our art will elevate your space to the next level and compliment the decor you love. Keep your office walls vibrant and alive with beautiful original art which will give your employees a boost in their day, impress your clients, and stimulate everyone’s creativity and imagination. Our specialist can help you find the right custom size to fit in any space large or small. Paul Ygartua’s work is informed by art, texture & live movement. Much of Paul’s work reflects the impact that diverse cultures in the world have had on him over years. 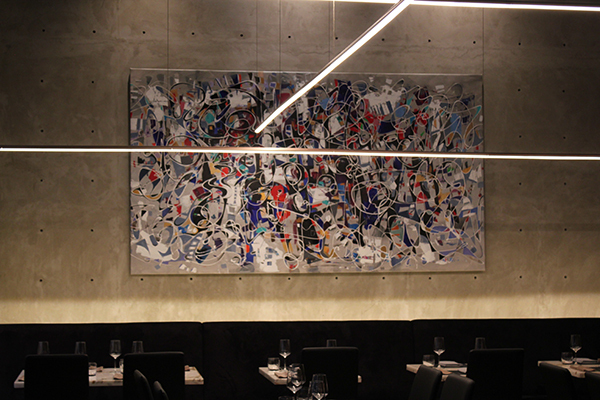 His abstract art displays expressions of wild, bold texture and colours that astonish their audience. 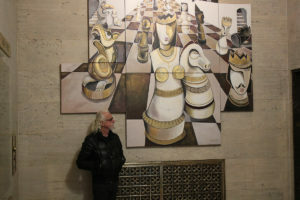 Paul’s artworks are part of private collections and renowned museums along side some of the greatest artists ever. Investing in art can be very beneficial to your business with many advantages and incentives.